Fathom assistant editor Berit Baugher compiles a list of awesome things to do and places to eat and drink in post-Sandy Rockaway Beach, New York City's up-and-coming (or totally retro) urban beach. You can also check out a version of this walkabout on the new Kamino app. The beach comes alive during summer months as surfers, young creative types, and old-school New Yorkers frolic on one of America's largest urban beaches. This south shore enclave is in the midst of a renaissance after a few decades of economic decline and the destruction caused by Hurricane Sandy. The Victorian resort town — once loved for its amusement park, Olympic-size pool, and ocean-front hotels — began catering to the local surfing scene a few years ago. 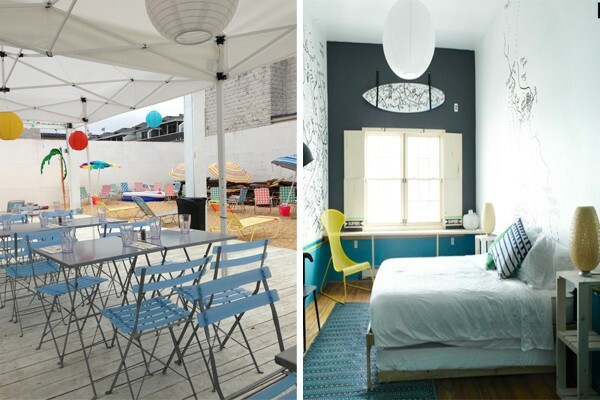 One thing lead to the next, and now the neighborhood has a design motel, DJ dance parties, and a new spin on traditional beach concessions (think Venezuelan arepas, Mexican street food, and artisanal ice pops). 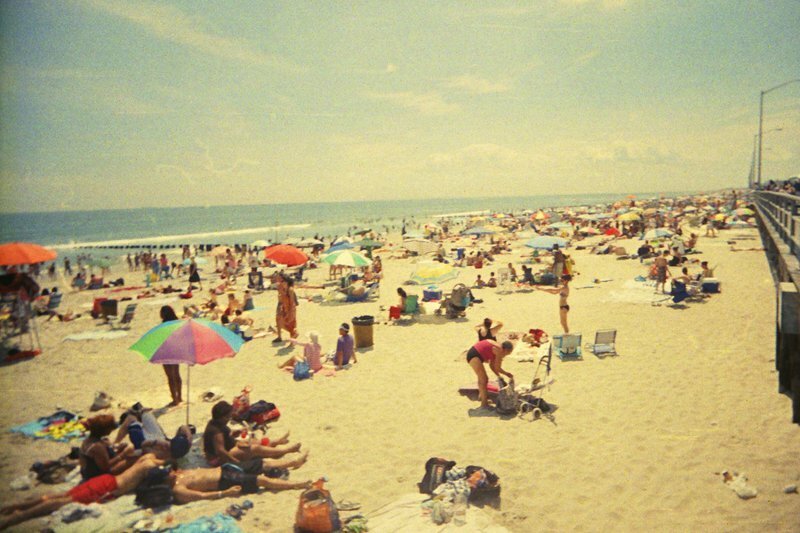 It's safe to say that Rockaway is — what else? — riding the wave. The peninsula is now complete with the addition of a 12-room boutique motel and diner combo with a backyard built for hipster dance parties and post-beach cocktails. This small deli in the village of Rockaway Park is a local favorite. An iced coffee, caprese pasta salad, and sandwich from the extra large chalkboard menu make an ideal beach picnic. Real-deal Italian ices from a recipe dating back to 1915. Stick with the original lemon or spice it up with papaya, pina colada, or the Peterstown special (orange-pineapple). This colorful beach hut brought cool to the Rockaways years ago and has been drawing crowds ever since. The surfers come for the fish tacos, but we like the Mexican corn and plantain chips with fresh guacamole. 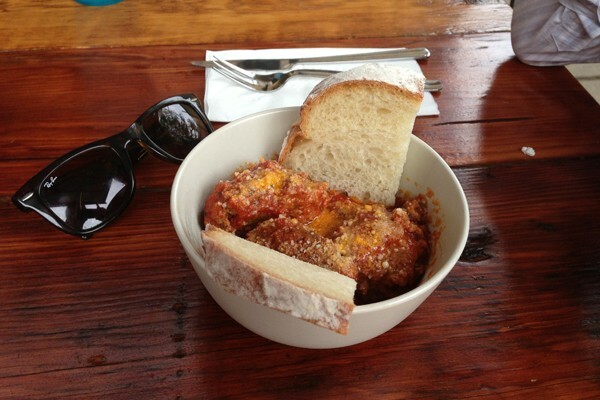 The spicy homemade meatballs at Sayra's. The area's first wine bar is doing it right with a cute back garden, picnic tables and a movie screen for Saturday cinema nights. Small plates range from BBQ pulled pork sliders to spicy homemade meatballs and wine is sourced from around the world. Live music, waterfront seating, good food, and strong drinks. The perfect way to end a day at the beach. The pan-fried chicken dumplings are delicious, the Duck Pad Kee Maow is super spicy, and it's all oh-so-good. Organic veggie and fruit shop with freshly pressed juices, smoothies, assorted baked good, and locally made natural beauty products. Delicious artisanal Central Asian vegetable patties and shish kabobs marinated and grilled with Uzbek spices served in a newly designed space with an industrial feel and surfboard stand out front. Foodies have reclaimed the boardwalk concession stands again this summer, resulting in beachside outposts of some of New York City's best eats. 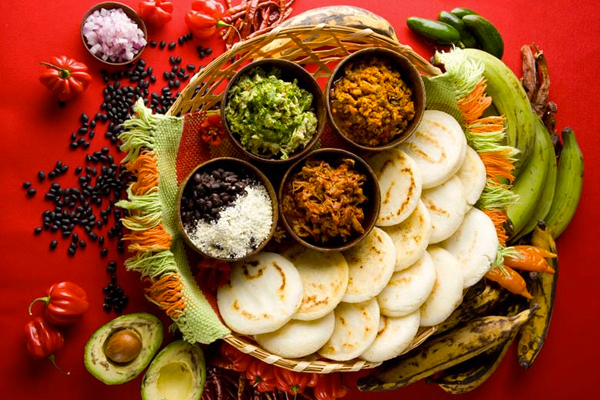 - Caracas: Homemade Venezuelan arepas and empanadas. - Conchos Rockaway: Smoothies, juices, milkshakes, ice cream, and innovative ice pops with flavors like black grape kiwi and blueberry lemonade. - The Bolivian Llama Party: Bolivian comfort food from a trio of brothers who routinely have one of the longest lines at Smorgasbord. Ty the quinoa nachos topped with creamy hauncania queso and llajua. - La Fruteria: Baked goods, coffee, and fruit smoothies and juices blended before your eyes. 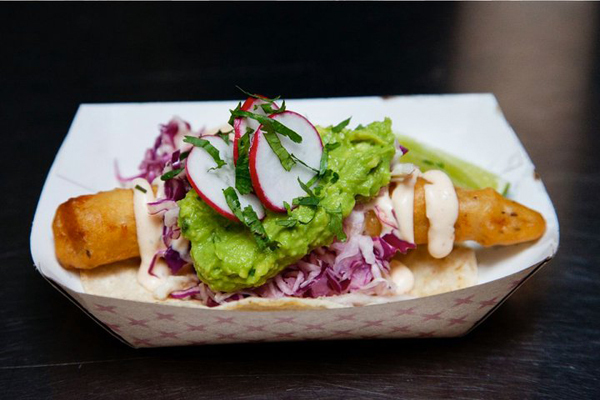 - Lobster Joint: The Brooklyn favorite set up an outpost serving fresh lobster, shrimp, and crab rolls. - Low Tide Bar: Beachside bar and beer garden. - Motorboat & The Big Banana: We’ve heard good things about the fish po’ boy, but our staple is the frozen chocolate dipped banana. - Rippers: The usual snack bar fare with the added bonus of a fresh juice bar. Peach and basil is our favorite. Locally owned surf shop with shower, changing room, and bathroom facilities. 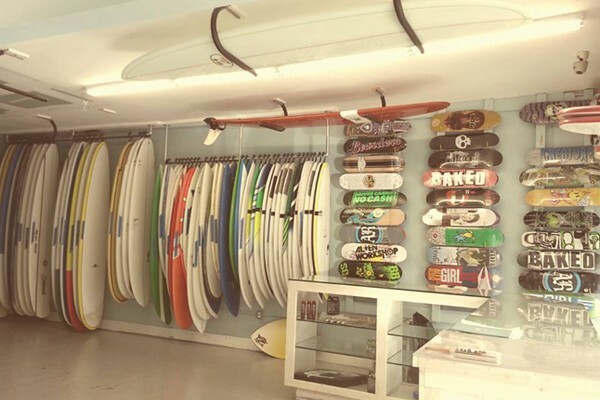 Lockers are available for regulars who want to store boards for the season and they have surfboards for rent. Locally owned retro-style stand-up paddleboard maker. Group, semi-private, and private surf lessons. Start off your day with a hot yoga class and some good vibes. A train to Far Rockaway. Transfer at Broad Channel to the S shuttle. Get off at 90th, 98th, 105th, or 116th. L or J trains to Broadway Junction. Transfer to the A train to Far Rockaway. Get off at 90th, 98th, 105th, or 116th. 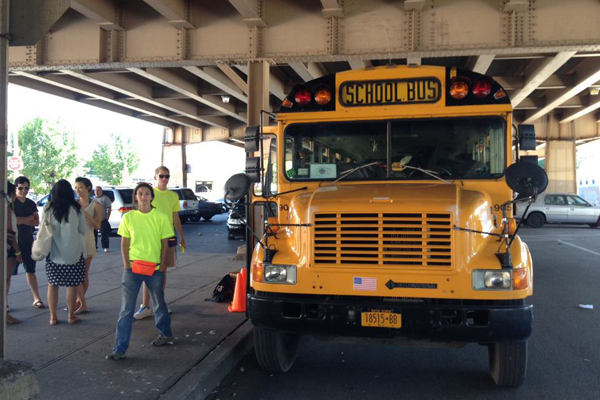 Shuttle from the Lower East Side, Williamsburg, and Grand Army Plaza to Rockaway in a big yellow school bus with playlists curated by local DJs every Saturday & Sunday. Rockaway Beach Ferry goes from Pier 11 at Wall Street to Jacob Riis Park Beach in Rockaway. Make a day of it with the boat and bike combo. From North Brooklyn go south on Wythe to Flatbush. Cross the Marine Parkway Bridge and then go east past Jacob Riis Park to the Rockaways. Approximate travel time is 1.5 hours from Williamsburg or Greenpoint. Take a version of this walk around Rockaway using the Kamino app.